If you need to bet on political parties or candidates to win elections ask yourself if they used Digi-cards download cards during their campaign, you will have a better chance on being correct. 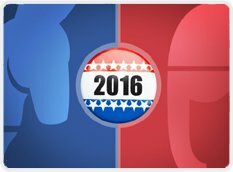 With a 98% success rate on campaign wins for elected parties and officials that use Digi-cards during their campaign as a promotional tool the odds are on your side. More marketing analysts are weighing in the value of the personal touch and tangible asset that Digi-cards give potential candidates. "Not everything needs to be virtual or classic marketing, you need something in between and Digi-cards are that product" said Gerardo Alton Ortega during interview. Vital Digital Global, parent company of Digi-cards and Digi-codes has maintained a policy of "First come, only served" in political campaigns and the results have been mind-blowing. By only allowing one candidate or one party to use their product for marketing purposes has given their client and edge over others by bringing innovation, added value, physical and virtual interaction. The 2016 U.S. election is just warming up, but remember this when the final vote is counted. It is not a secret that Digi-cards download cards have saved the livelihood of many recording artists and musicians around the world by increasing their income and giving them control over their product and music, but what about the DJs? It is also not a secret that there are more DJs around the world than professional singers and bands. 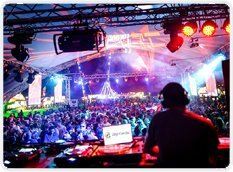 Every nightclub, most bars, social events, weddings and other party gatherings normally hire a DJ for the entertainment. Many have risen to become superstar DJs and producers; others spend their weekend nights working late to earn a living. Do they have a chance to supplement their income? Of course, you do not need to be a super star or signed DJ to make a decent living; Digi-cards download cards have made millions for the everyday DJ. Everyone likes music by artists, on the radio, streamed, but who does not like the mixing of songs with non-stop beats playing hit after hit with a combination of audiovisual effects that every DJ artistically generates? Before Digi-cards was the thing of the moment, you would not hear that exact mix again, that combination of songs that made your body shiver, but now you can just walk up to the DJ and ask for his or her Digi-cards download cards, pay a small fee for their art (usually less than the cost of the drink in your hand) and "presto". You will be driving home listening to that same mix that was produced for you by your friendly new pal Mr. or Ms. DJ. "I grew up in nightclubs in Mexico and the United States and very much respect what DJs do for the entertainment and music business. Many songs I bought albums for I first heard from a DJ, their promo work and talent is very well appreciated by many of us", Gerardo Alton-Ortega, CEO of Digi-cards, said. "I for one was involved in the nightclub business and my biggest budget was always dedicated to our DJs. I am so glad our product has given them so much because they deserve it", he concluded. Digi-cards are the leading manufacturer of custom multimedia download cards around the world and the preferred download cards of DJs globally. 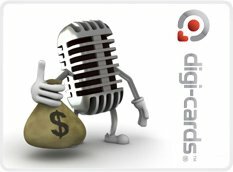 When the Digi-cards download cards concept started in 2004 as a "Digimusicard", it was created, as its name indicates, for the music business. Little-known to Gerardo Alton-Ortega, the creator of this product, the business was going to be in business. 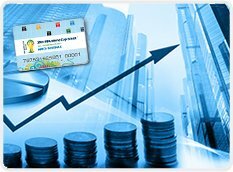 Yes, about 70% of Digi-cards revenue comes from corporate and small business sales. The versatility of the product has been able to replace old methods of marketing and advertising, thus allowing companies in all realms of the business spectrum to reduce costs in fields like printing, advertising & marketing, development, etc. The times of distributing a huge bag of marketing and merchandising products during conventions are over, now most delegates distribute Digi-cards with all the secure information and multimedia. By doing this, they saved in the cost of printed paper, CDs, DVDs, USBs, shipping, and not to mention the benefits to the environment, all of this in one card. Other benefits include: the database inception and generation, timely follow-ups after card activation, and the assurance that your target audience accessed the material provided. Production costs and shipping of Digi-cards download cards for businesses are well below other options, such as catalogs and other media, thus saving some companies up to millions per year. 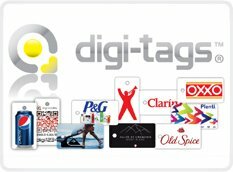 Vital Digital Global is always at the vanguard of technology and product development, like every other quarter the company is proud to present a new product and brand: Digi-tags. Just like Digi-cards download cards this new tags allow the end user to access a plethora of specific information via smartphones, tablets or personal computers. This product is smaller than regular download cards by 2/3 and can be easily distributed due to its size. At almost half the cost of regular digi-cards download cards it will fill in the niche of budget conscious clients. The end results are the same, Digi-tags use the patent pending system of Digi-codes and can be fully customizable. Clients needing promotions, advertising or a value added device for their products can use Digi-tags and deliver all the benefits and content to their customers or end users in a small package. Digi-tags are on sale now and will officially launch before the end of June. For more information you can visit www.digi-tags.com in the next couple of weeks to get pricing information on this revolutionary new product.